Many years ago (8 months), in a land far far away (the West Coast), a little old blog (The Oregon 'freakin Wine Blog) completed a transformation of epic proportions. No longer satiated with the sweet nectar known as wine...no longer content with the arbitrary constraints of the boundaries of the state of Oregon...six booze hounds made a critical choice: expand or die. Expand it was, and WestToast was born. Among the most rewarding and intoxicating aspects of our rebirth has been the diversity of subject matter as we explore all formats of booze, near and far. All fair game and all topics of recent coverage. Throughout the years (months), however, we've found that most events are rather topical and specific. Fun, sure, but I've been waiting to find that one perfect event, the one that touches on the full menagerie of our genre. The one that reflects the diversity of our audience, the varied interests of our staff. On February 26 the wait is over. Peha Productions brings to you the mecca of events, the Seattle Wine and Food Experience. More than Seattle, more than wine, more than food, and definitely an experience, join us at the Seattle Center to explore wine, beer, spirits, cider, and culinary culture. Unlike other events in the area, the Seattle Wine and Food Experience offers a comprehensive tasting that allows for a greater understanding of wine for the consumer. Although Washington wines are naturally showcased, this event also includes a special regional focus on Oregon, as well as wines from Idaho, California and major international brands. See, I told you this was the mecca of events! In addition to the wine, the event features fine spirits at Distillery Row, a Beer and Cider exhibit, and gourmet treats created by more than 20 local chefs in the Artisan Food Shop. 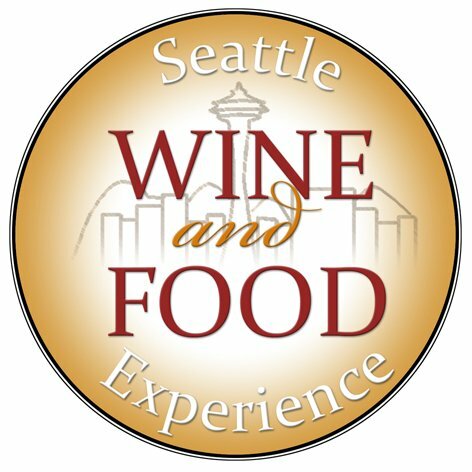 Admission to the Seattle Wine and Food Experience is $49 per person and includes access to all areas of the event and drink and food samples. No one under 21 will be admitted and ID is required. A portion of the ticket sales proceeds will benefit The Giving Grapes Foundation, a 501c3 organization that assists local charities who provide financial assistance to service industry professionals who have to take time off work due to injury or illness. For more information on the Seattle Wine and Food Experience visit: seattlewineandfoodexperience.com. So what are you waiting for? It's got the makings of an awesome Sunday, and, supports charity. I'm sold. Wow. What a great write-up Josh. See you there!